Sometimes I wonder how Alexander Graham Bell would react if he was able to see what the humble beginnings of the telephone have evolved into today. 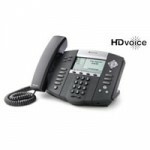 Over the years, telephones have evolved from simple devices relying on operators to connect callers to each other, to today’s telephones using VoIP (Voice over IP) technology to connect people anywhere in the world. Those of us who are of the baby boom generation, or perhaps older, remember having rotary dial telephones. These phones were used in homes and businesses until AT&T introduced touch-tone dialing in the 1960’s. In these earlier years, most of the equipment used to provide dial tone and allow calls to be made to neighbors or the next town was mechanical. The long distance network covered the country, and the quality varied from time to time. I remember calling to Florida or California, and the background sound would change and become a little noisy. 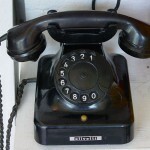 Even after the introduction of touch-tone dialing, the rotary dial phones remained in service until the late 20th century, at which time touch-tone service became the standard, and cordless phones became popular. To provide touch-tone service, and many of the other services we take for granted today, such as caller-id, the equipment used to provide services went through many changes in technology. 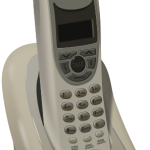 We went from using first generation electronics (TTL logic for you geeks), to digital switching, and now to IP (internet protocol) switching that is being used to provide the latest services to our customers by integrating voice and data delivery, such as seen in this business phone from Polycom. I’m quite sure Mr. Bell would have a TDS managedIP phone on his desk if he were alive today.